It’s a running joke amongst local businesses that as soon as you open up shop, you will be bombarded by sales calls from a Yelp representative who wants you to buy into their advertising program. They can be aggressive in their calling and persist for several months. If you don’t do your homework, you can waste your valuable marketing budget investing into Yelp’s advertising program and gain nothing back in return. I have been pitched by Yelp both as a business owner and as a marketing manager for a former employer. When it comes to pay per click marketing platforms, businesses have alot of options be that Google Adwords, Bing, Facebook, and of course Yelp. I write this article to communicate both the advantages and disadvantages of advertising on Yelp and help you make an informed decision as to whether Yelp Ads is a viable PPC marketing tool for you. Before we discuss the pros and cons of Yelp Ads, you should have the foundational elements of a good Yelp profile. Implementing these elements do not cost you a dime and it’s essential to have before you consider paying for Yelp Ads. There are 3 primary advertising platforms that you should have reviews for. They include Google Local (aka Google My Business), Yelp, and Facebook, in that order. I prefer Google Local over Yelp because it generates more traffic and the reviews on your Google Business Profile contributes to organic search rankings. However, it doesn’t hurt to get reviews on Yelp as it’s a strong digital channel for local businesses. Note that Yelp does not like businesses directly soliciting reviews or finding ways to incentivize reviews. They will threaten to close your account. It’s rare to see or hear of this but it can happen if you are caught. You can circumvent this by simply stating that you appreciate “customer feedback” while mentioning you have a presence on Yelp and the other major media sites. If you have follow-up email responders that are sent to customers, you may include a message that asks for reviews and includes links back to your profiles on Google, Yelp, and Facebook. I’ve found that soliciting reviews is more a matter of semantics and how you communicate it rather than being a completely black and white issue. Second to reviews, this is the next best thing to building credibility. Photos can visually communicate a sense of credibility that words cannot. If you’re a realtor, get photos of happy home buyers. If you’re a dentist, take photos of satisfied patients. If you’re a landscaper, upload pictures of the beautiful work that you do. Yelp rewards businesses who are responsive to customer inquiries. 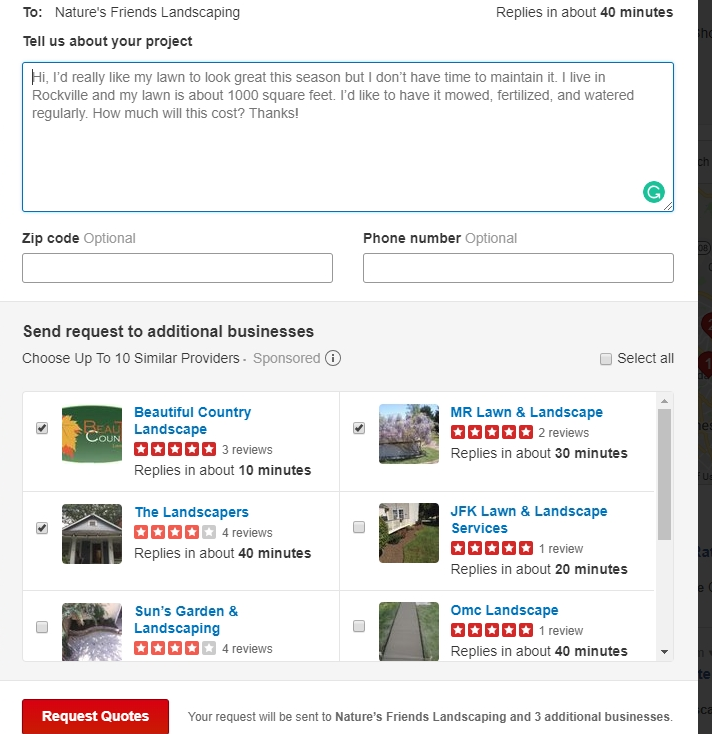 The screenshot below shows a request for quotes from multiple vendors for landscaping services. As you can see, Yelp will only include businesses who have a track record of quickly responding to inquiries, especially in a competitive category. Your response time is also shown on your profile so it behooves you to respond back to the prospective customers in a timely manner. Yelp Deals are online prepaid vouchers that customers buy in advance. They are listed on your profile [screenshot] for customers to claim. The more attractive the deal, the more people are likely to buy from you. For example, an $8 voucher for $10 of goods isn’t very enticing. However, $50 for $75 is an attractive offer. There are no upfront costs to you, the business owner. 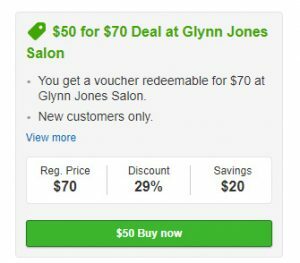 Yelp will collect payment from the purchaser and keeps a share of the purchase (30% for deals and 10% for gift certificates). The remainder is paid to you each month. Yelp Deals can be an effective way to acquire new customers if you know that the lifetime value of a customer outweighs the initial discount that you’re giving away. You can learn more about Yelp Deals here. If you perform a search for any type of local business, you will often find a Yelp listing appearing on the first page of Google. Yelp invests a lot of money into SEO across all of their verticals. Here is a search for the keyword “real estate agent Arlington, VA”. They rank 2nd and 3rd behind Zillow. If you implement the 3 foundational elements to a strong Yelp profile as mentioned above, this will increase your chances of being included in Yelp’s Best or Top 10 list which will lead to more traffic and awareness of your business. Yelp is a defacto resource for consumers looking for local recommendations. The platform has strong brand recognition and many consumers trust it when they need to find a local recommendation. Yelp isn’t honest about what they consider a lead. In a traditional business context, most of us consider a lead as either a contact form fill or a phone call. As you can see with this screenshot, clicks to your site, bookmarks, uploaded photos and map views are defined as “leads”. This is a weird justification of a lead. Yelp is obviously trying to inflate their idea of what a lead is as a way to justify what they charge to a business. Unlike Facebook Ads or Google Adwords, you are not in charge of how or whom you wish to target. Yelp has total control over radius coverage and keywords. While their reps say they have an accurate targeting algorithm, you can and will get clicks from irrelevant prospects. Given the high cost per click that Yelp charges, each irrelevant or mismatched click on your ad results in wasted ad spend. 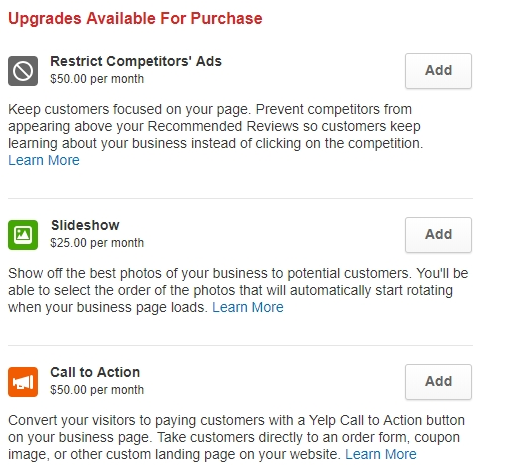 The Call To Action and Competitor Restriction feature should be built into your plan but instead, Yelp tries to nickel and dime businesses by forcing you to pay for these extra features. You should factor these additional costs into your monthly advertising expenditure. Unless you have call tracking software, it is difficult to know if Yelp Ads are effective. And it’s impractical to ask every customer who calls how they found out about you. So in the absence of a call tracking tool, it’s difficult to know if Yelp paid ads can work for your business. How Much Do Yelp Ads Cost? $50/month for video hosting. Yelp will send a videographer over to your business to produce a 60-90 second video. What Is the Cost Per Click of A Yelp Ad? This varies greatly for each industry. Multiple searches reveal it can be as low as $4 to as high as $20. And remember, this is only for the cost per click. Each click will not result in a lead nor a customer. So you will easily pay more than this just to acquire a lead or customer. Because each business is unique in who they serve, what they sell, and whom they serve, it’s difficult to gather any real concrete metrics on CPC. the only way to really know is to pony up. Final Verdict: Should You Advertise With Yelp? Assuming you’ve added the above foundational elements to your business profile, the question remains; should you take the next step and pay for Yelp advertising? The decision-making process is simple and comes down to the number of reviews you have relative to the competition. Quality and quantity of reviews is the determining factor and influences a customer’s purchasing decision more than anything else when looking for local recommendations. If you don’t have a lot of reviews or have mediocre reviews, I would not pay for Yelp Ads. Reviews are the ultimate form of social proof. And you’ll lose to the competition whose reviews are better than yours. This is especially true of service-based businesses such as realtors, dentists, and home contractors. 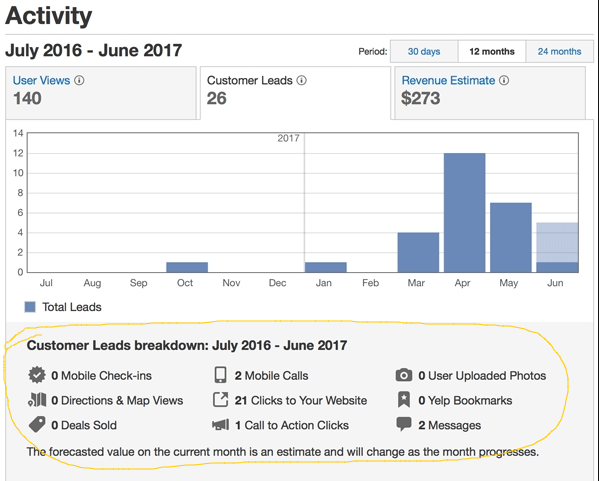 If you have a lot of reviews relative to the competition, you might want to consider doing a month to month agreement. I would avoid a long-term contract with Yelp unless you can prove that you are getting a significant ROI from their advertising platform. Working on a month to month basis allows you to test the water. If the platform does not work as you had expected, you can easily opt out and just rely on any free traffic. Have you advertised on Yelp? What’s been your experience? Don’t hesitate to comment below so other readers can benefit from your experience. I have used yelp as a my main platform, I’ve been paying for advertising since 2016 and gained well over 100 reviews from clients, after numerous calls from yelp reps to increase my ads (wich I didn’t), I had a crazy amount of reviews moved into the not recommended section, I now have 16 recommend reviews and 178 NOT RECOMMENDED, I wish I had invested my money and effort somewhere else instead as it really hurt my business.